Utilizing Bio-Technology we can provide your fish with a nutritional package that will have them looking like they just came off the reef. You can expect those rich, brilliant colours you bought your marine fish for. Excellent for fish larger than 10cm in length. 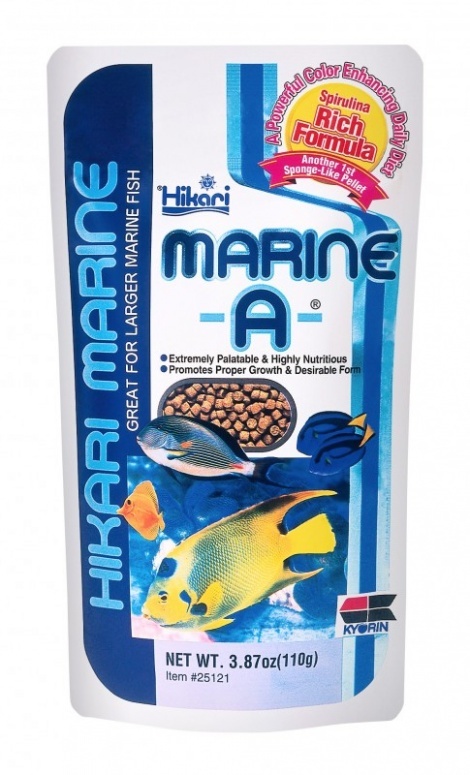 Becomes sponge-like in water thereby improving the acceptance by most marine fishes. The sponge-like texture allows us to eliminate any clouding of the water and the hesitation most marine fish have to accepting a hard, pellet-type food. Easily digested by all marine animals, reduces excessive fish waste and the associated water quality problems. Rich in stabilized vitamin C, promotes resistance to stress and immunity to infectious disease.